Crop water use can be increased by management of surface runoff, groundwater, irrigation, and soil water. Technological innovations to enhance availability of water for agricultural crops depend on soil and site-specific conditions. Devoted to the principles and practices of enhancing water use efficiency, Soil Water and Agronomic Productivity addresses current problems associated with water supplies required for agricultural purposes and food production. 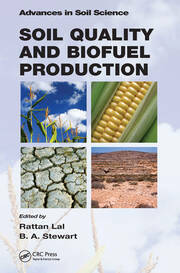 Written for professionals and students in agricultural fields, the book focuses on innovative technologies for improving soil water availability, enhancing water use efficiency, and using productive irrigation systems. 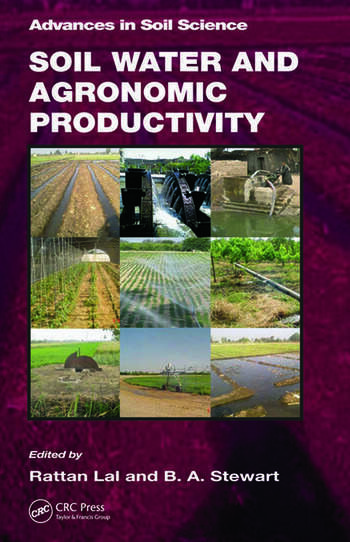 It also presents techniques to conserve water in the root zone as well as remote sensing techniques to assess soil water regime and predict drought on a regional scale. 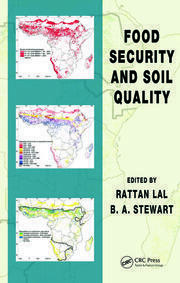 Soil water management is crucial to reducing the vulnerability to agronomic drought. There are numerous examples of aquifers that have been severely depleted by misuse and mismanagement. 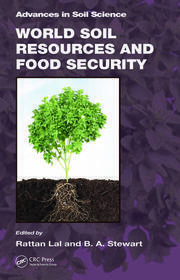 Soil Water and Agronomic Productivity explains the factors and causes of the mismanagement of soil water and proposes options for sustainable and efficient use of scarce water resources. Meeting the global food demand will require careful worldwide management of soil and water resources, and this can only be done by sharing information and knowledge. Rattan Lal is a professor of soil physics in the School of Environment and Natural Resources, and Director of the Carbon Management and Sequestration Center, FAES/OARDC at the Ohio State University. B.A. Stewart is Distinguished Professor of Soil Science at West Texas A & M University, in Canyon. He is also Director of the Dryland Agriculture Institute.